eBooks Read on Kindle, iPad, Nook, and more. Audiobooks Listen on computer, iPod, mp3 player and more. Music Download and stream mp3s of today's popular artists. Movies Play a movie or documentary from our vast collection. HMCPL is searching for interested parties to manage a coffee shop within our new South Huntsville location...read more. Check out our interactive timeline.....read more. 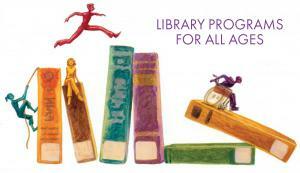 Click here to check out the Huntsville-Madison County Public Library's upcoming events and activities.